So it seems decreed that Manchester United will be managed by a no-nonsense Glaswegian with an unimpressive playing career but a reputation for discipline, a dour personality and a deep-rooted suspicion of the media. The United players might not find the period of adjustment after the departure of Sir Alex Ferguson quite so dramatic. It might be harsh to call David Moyes, the Everton boss whom Sir Alex and United appear to have anointed as his successor a mini-me, but he certainly fits the Ferguson template. He already has the requisite "us against the world" mentality, the demeanour of a club man who suppresses his ego to the team cause. He even shares Ferguson's fondness for horse-racing. What he lacks is a record of success. When Ferguson came to United he already had the significant achievement of making Aberdeen dominant in Scottish football, ahead of the Glasgow giants, and of beating Real Madrid in a European final. Moyes has kept Everton in respectable league placings most seasons, but won nothing and had little success in the sporadic adventures in Europe. United fans might also worry that Moyes can struggle at times. 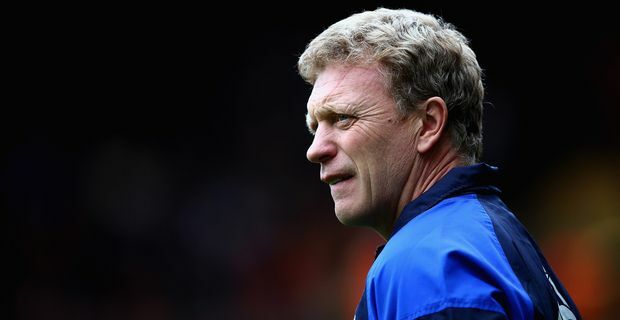 Ten years ago, Everton under Moyes achieved their lowest ever tally of points in the club's history and narrowly avoided relegation. His Everton team had a reputation for starting seasons slowly, while United under Ferguson invariably got off to a flyer. The United job immediately throws Moyes in at the deep end with a player crisis to resoolve. It concerns the future of Wayne Rooney who wants to leave. There was little love lost between manager and player in the past. Rooney claimed Moyes forced him out of Everton. Moyes sued for libel and Rooney apologised and settled out of court. Rooney handed in a transfer request even before Ferguson's resignation. The appointment of Moyes might only strengthen Rooney's determination to leave.